A whistleblower in the workplace informs the general public or some authority about issues of misconduct or illegal activity involving the private sector or government entity. The term "whistleblower" originated in the 1970's when civil activist Ralph Nader first used the phrase. 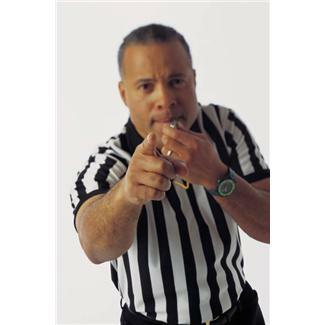 It came from a reference to a sports referee "blowing the whistle" signaling a penalty or foul. I worked in local government for 14 years. In that time I saw and was exposed to several of the aforementioned circumstances that screamed "blow the whistle". In addition, various types of discrimination were accepted as normal daily business activity. Among other things I blew the whistle by voicing my concerns to management, to HR and ultimately to the (EEOC) Equal Employment Opportunity Commission. Before during and after this process I gained insight and wisdom by learning my Basic Employee Rights. I always stress this and it doesn't matter what the employment issue is. If you don't have a basic grasp of what workplace rights you are entitled to, you are at a HUGE disadvantage! If you believe there are some things going on at work that fall into any of the areas I mentioned here is the first thing to do. You need to learn what your employers policy on whistleblowing is. Your boss may not have a program of whistleblowing in place. If so this can work to your advantage. Learn all you can about workplace whistleblowing before your next move. Employees who knowingly withhold knowledge of illegal business practices aren't classified as whistleblowers. Therefore, if they eventually suffer from those unlawful acts are ineligible for whistleblower protection. An employer policy of whistleblowing guards against retaliation aimed at the employee "blowing the whistle". All because I dared to expose its corrupt and discriminatory business practices. One of the more amazing aspects of this employment situation was the employer itself.....LOCAL GOVERNMENT! Beyond that, to my knowledge there was no employer Whistle blower policy in place. Because of the impropriety and violation of public trust I witnessed, my professional reputation was sullied. I endured being terminated for cause. However, because I gained knowledge of my workplace rights was able to prove the firing was unjustified and thus reinstated. During a hearing not only did I prove the termination was unjustified, evidence of the violations themselves came out which the employer could not defend. However, my situation is not typical. Most people are fearful of the consequences of speaking out against unlawful workplace issues. In fact most of my co-workers that became aware of my lawsuits filed against the employer started distancing themselves from me. Indeed some even took "thirty pieces of silver" to assist management in its whistle blower retaliation efforts. The percentage of employees who witnessed misconduct reached an all-time high of 65%!! Workplace whistleblower retaliation increased dramatically. About 22% of workplace whistleblowers were victims of various types of retaliation. Around 13% of employees said they were pressured to compromise work ethics. The report uncovers some interesting facts about each group. For example, the "reporters" essentially seek to solve the problems in-house by voicing concerns and working with management. "Whistleblowers" on the other hand for whatever reason don't trust management and seek assistance from external sources. Workplace whistleblowing exposes fundamental differences between those willing to "blow the whistle" and those that don't or won't. The believe these same divisions also apply to adverse workplace situation. My non-scientific research and study reveals the following. This group mostly comprised of management will seek to justify every workplace decision. For the most part they don't tolerate or appreciate a whistleblower in the workplace. Even if it ultimately benefits the employer. These individuals have a self preservation mindset tainted with a "brown nose" whatever the boss says or does is right. One of this groups most prominent traits is the willingness to take "thirty pieces of silver" from the "Apologists" group. This usually means bad news for the "Apathetics" and "Actioners". These are the people at work that KNOW the workplace is toxic. They complain, whine, moan and groan. Yet, they will not report, make a stand or "blow the whistle". However, they do expect others to make the sacrifice, take the hits and part the sea so they can "cross on dry ground". This is also the most untrustworthy group. Now we have the MOST important group. "Actioners" are a severe minority in any workplace. They are the true whistleblower in the workplace. They care about making the workplace a better place to work. They are willing to go it alone if necessary. They have integrity and are courageous. "Actioners" may frequently find themselves coming to the aid of the "Apathetics". Of course the "Apathetics" by nature being passive don't and won't return the favor. This is what I call the "Four A Workplay" that dominates a workplace culture. The U.S. government has enacted several laws dealing with issues of whistleblowing. These laws came about primarily as a result of corporate corruption and fraud. One of the laws called the (FFCA) Federal False Claims Act protects people who file a complaint on behalf of the U.S. government against those who through fraud acquire federal funding. When a whistleblower in the workplace is involved, these "whistleblowers" usually receive 15 to 20 percent of any proceeds the Government recovers from a successful lawsuit against a defendant on the whistleblowers behalf. The Dodd-Frank Wall Street Reform and Consumer Protection Act has made this law even more advantageous for whistleblowers. 1) It seeks settlement with the employer on the employees behalf. 2) OSHA will order the employer to reinstate the employee. The employer is then required to restore back pay, lost benefits and any other possible relief for the employee. The bad news about the (SOX) Sarbanes Oxley Act is it only affects public sector employers. However, private sector employers aren't off the hook because they can find themselves in hot water with other federally protected laws against retaliation. Public sector employees believing they have been retaliated against for "blowing the whistle" must file a complaint with OSHA within 90 days of the alleged discrimination. The lawsuit can be filed against both individuals and organizations. OSHA then has 60 days to decide if in fact the employee was retaliated against for being a whistleblower in the workplace. This means the "protected behavior or conduct was a contributing factor in the unfavorable personnel action alleged in the complaint".